The best way to ease yourself from the mass marketed fizz land of dull and boring beers with an inflated advertising budget and sense of importance to a place where beer is made for taste, food matching and a challenge on the taste buds is to emerge yourself into the world of lagers. Lagers are the perfect take off spot for anyone who has been trapped in a world of Carlton Draughts and TEDs. So forget all about your crazy strong ales, sour lambrics and your Imperial stouts, today is all about lagers. Lagers, one of the world’s oldest styles, it was brewed in caves, was popular because the yeast operates at lower temperatures then the temperamental ale yeast making it easier to brew and less likely to spoil. Still for a lot of crafties the idea of pale lagers even holding a candle to other styles is something that is unthinkable, even considering the strong German heritage and purity laws that these beers have. The main reason that people who enjoy quality beer have steered clear of most forms of pale lager lies in the usage of adjuncts (fillers which breweries use to reduce the cost and volume of malted grains). Common adjuncts include rice and corn syrup among other unmalted grains. Lagers also are the jump off point for a whole variety specialty beer such as strong Belgiums as well as other fruit and spice infused beers. So without further waffle here are my top 5 pale lagers that you can use to project yourself into the craft brewing world. 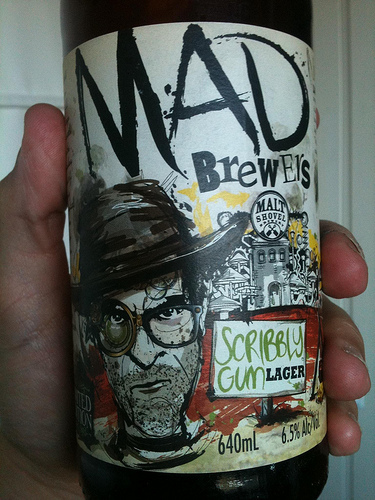 A special release from the Malt Shovel Brewery which is responsible for the James Squire line of beers is a 6.5% lager which comes in 640 ml tallies. The beer itself comes out tarty and slightly bitter with some nice smokey sort of characteristics. This first impression of smokiness is quickly balanced out with a nice malt touch which gives a well rounded beer with a hint of cloves. Like all of these beers, if you are looking for a gateway beer this is one of them. 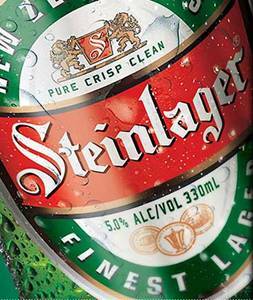 4- Steinlager: Clean crisp New Zealand water translates into a clean crisp lager at 5%. It is strong mouth feel which makes it clean and results in a nice little dollop of sweet malt which allows for the beer to sit comfortably on the tongue and lingering just long enough for you take another bite out of that delicious taco or other Mexican delicacy that you temporary laid aside for another taste of this crisp Euro style lager. 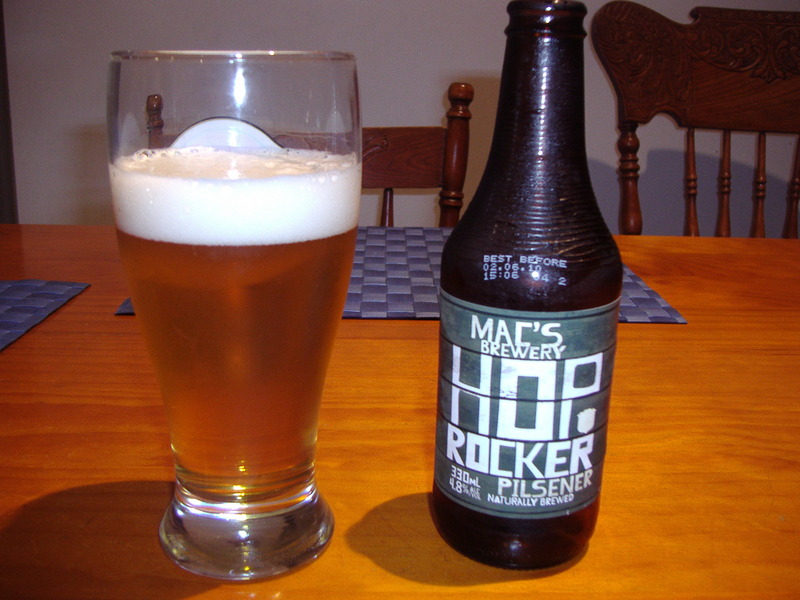 3- Hop Rocker: The Hop Rocker, another pale lager from New Zealand is a beer slightly towards the fruity end of the lager spectrum. Don’t let the name fool you, this is not the beer that the hop heads pull down off the shelve in droves, in fact this beer is probably one of the very last beers that a Hopper would pick as his tipple. Not that this means it;s bad, just the name is slightly misleading. The hint of citrus is a nice little lead in to a well rounded golden lager which is interesting with it’s NZ hops and with it’s old school ring pull top, it make it a perfect party beer as well as something that will open some new doors. 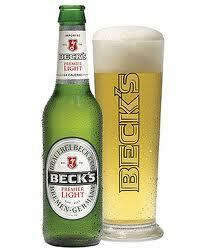 2- Becks: the German beer of export fame and drunk by more then a few brewski try hards. Still there is a reason for that, it is a premium crisp lager that really defines the Europe style lager. It holds a clean mouthfeel which doesn’t leave a trail of destruction behind. The important thing is to remember that Becks is also brewed under contract in Sydney. If you want the proper Becks experience make sure that you are getting Becks that is A) brewed in Germany and B) has more then 6 months before the expiry and is kept in a cool place. The original and still, arguably, the best light lager in the pilsener style. Some argue since brewing giant SABmiller took over and started making the stuff outside of the Czech republic in Poland and Russia the quality has certainly dipped. 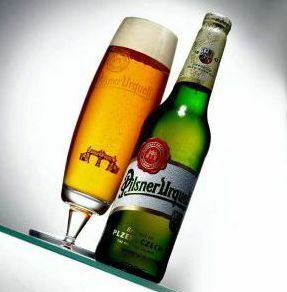 It is estimated that 9 out of 10 beers are copies of the pale lager style which came out of Bohemia. The aggressive hoping, for a pale lager, sets it apart from the pale imitations that have followed for the next 150 years. The initial success of the Urquell comes from it’s water profile and the groundbreaking brewing techniques. The continued success however is just down to the magnificently balanced and hopped beer that set fourth more then 99 other beers. So there you have it, a top 5 lagers list for those looking for a little bit more from their beers.